I recently took an air-steamer across the great Atlantean flood plain to visit some of our dear friends in Europe. The purpose of my adventure was to visit the island fortress of Malta, one of the great maritime rocky outcroppings in all of history. Not to be confused with other tiny, out-of-the-way countries that begin with M—such as Macedonia, Montenegro, Moldova, Monaco, the Maldives, Mauritius, Mauritania, Mali, Malawi, and Mexico—Malta is a Mediterranean playground whose land and people are made entirely of stone. The first thing that strikes the visitor upon visiting Malta is the beautiful sea that surrounds it, which has been dyed a stunning blue by generations of lost indigo shipments from the East. The second thing that strikes the visitor is a stone, which is Malta’s natural form of precipitation. After landing at Malta’s international air-harbor and having my passport stamped with a chisel, I entered this land of fruit and rocks and was immediately charmed by its blistering sun. Once recovered, I headed to its principal attraction: the historically rich, imperviously surfaced town of Valletta. Inhabited by a rare race of golems and their gargoyle pets, Valletta is perched on a long rocky peninsula charmingly fortified against medieval knights and the Luftwaffe. Its massive stone walls, complex bastions, and dry moats are perfect for purifying visitors of all their soft tissues. 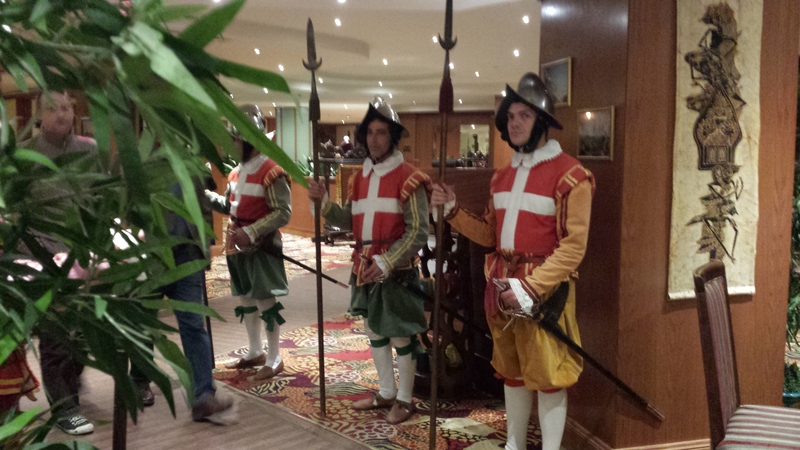 The Knights continue their service to this day, mostly as restaurant guards. Valletta abuts one of the great deep-water harbors in the world, whose environs were the site of a massive and destructive siege by the armies of Ottoman Sultan Suleiman the Magnificent Hat in 1521. The scrappy leader of the resistance was Jean de Valette, an aristocratic Grand Master of the Knights of St. John of the Hospitals and Latter-Day Historic Churches. The boisterous, elderly de Valette led the Knights and the local inhabitants in a heroic defense of Malta, which saved the islands for Christendom. Valletta and its picturesque stone quarters have since been used in its Christian capacity as a military staging ground for the British Empire, which took over the islands in 1800. Even though it has since obtained independence from the cruel reign of Queen Elizabeth II, Malta welcomes tens of thousands of U.K. tourists each year and helpfully dries their soggy clothes out. Of course, I spent time outside of Valletta as well, since I wanted to meet the local stone creatures and understand their way of life. The people speak two main languages, English and Maltese, the latter an Arabic offshoot that uses Roman lettering and Italian gestures. Since there was a wealth of sights to visit, I wasted no time searching for water to drink. I visited the historic town of Mdina and its surrounding crafts villages. I took the ferry to the secondary island of Gozo, which specializes in bigger pieces of stone. 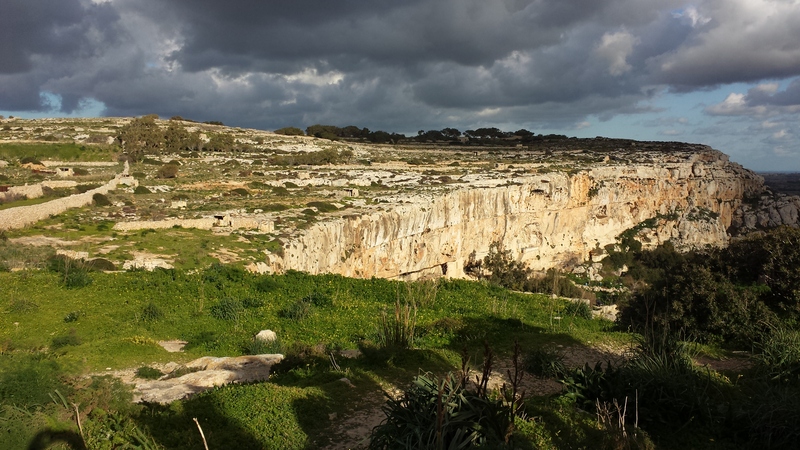 Finally, returning to the main island, I headed to the western coast to admire and laugh at the dramatic and hilarious “Dingli” Cliffs, which rise suddenly and without invitation from the Mediterranean. There I met Zubbug, a farmer scrabbling out a living between two large boulders. His flinty gaze and steely, hard-earned wrinkles led me to a deeper understanding of the hardships of cultivating a quarry. “Been dry,” Zubbug said to me, adjusting his straw Stetson and gnawing on a grape vine. “Need some rain.” I asked if Malta’s recent upheaval of pebbles concerned him. “Ain’t worried none,” he replied—but I could tell he was worried, because an extra eye crinkle appeared. I encouraged him by purchasing some delicious fig preserves. “Used to be better,” he said, “before the French briefly occupied us from 1798-1800 and pillaged our Catholic churches….” He trailed off and gazed out toward the gorgeously polluted sea. “Tain’t nothin’ now,” he said, and I could do nothing but agree with him, because he was a rock monster. Having been edified by this contact, I took a deeper interest in Malta’s prehistory, which is as fascinating and unknowable as its history. 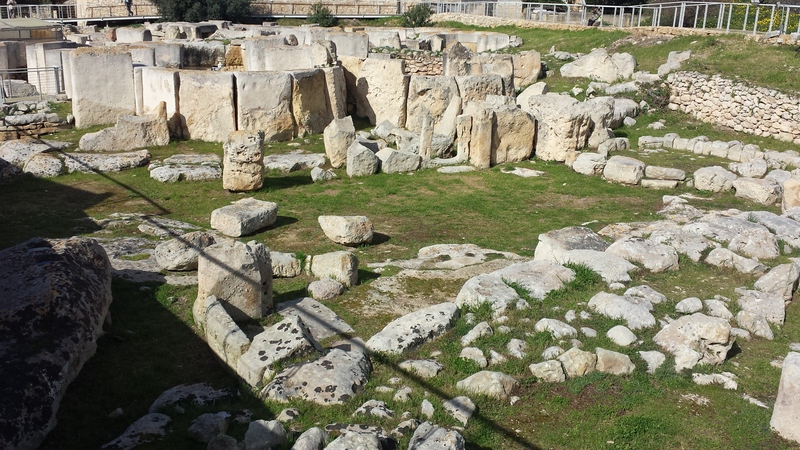 It turns out, surprising no one, that Malta’s earliest inhabitants built massive stone temples that are some of the oldest free-standing structures in the world—predating the pyramids of Egypt. These temples appeared to be the site of a strange “Fat Lady” worship cult. You may think that I am making this up, owing to my penchant for hyperbole, but I am not: These “fat lady” sculptures remain today, although no one can get them to talk, owing to the fact that the local inhabitants took off their heads and are using them to create rock babies. You may think that I am making this up too, but the heads are really missing. One of the most interesting prehistoric sites to visit is the Hypogeum, an underground temple and mortuary that is on the World Heritage list along with 1,000 other places. Only 10 people are allowed entrance at strictly scheduled intervals, owing to the destructive effects of human bad breath on the painted walls and ceilings. As a visitor, this limitation affords you an excellent sense of what it was like for the ancient Maltese to constantly hit their heads on limestone ceilings. I highly recommend the experience for anyone who wants to feel buried alive and turned into a rock troll. Of course, I cannot complete my review without mentioning the thing for which Malta is most famous: its movies starring Humphrey Bogart. The Maltese Falcon is a classic noir whose plot is something you follow. However, Malta had nothing to do with that film, though rumor is that Maltese falcons were jeweled sculptures given by the Knights of St. John Hospitableness to the Pope as symbolic payment for perpetual title to the islands and strict rent control. I could not get the Maltese to confirm this, as every time I mentioned the Maltese falcon they threw their hands up in exasperation (“that again!”) and began pelting me with gravel. Retreating to the air-harbor, I was sad to say farewell to this delightful corner of the igneous. I hope to return some day, after my transmutation into stone is complete. I admit one of the things I want to see at Malta, but that I understand isn’t much of anything anymore, is the set built for the town of Sweethaven for Robert Altman’s Popeye movie. The movie isn’t everyone’s thing, but it was such a magnificent setting. They have a “Popeye-land” there! I didn’t see it, and I’m not sure it’s Disneyworld-level of entertainment. I rather liked that movie, though. Glad you liked the movie! I’m always delighted to find other people who see its charms. I’m sure the village isn’t a raucous place, but it’s probably scenic, even if it’s a decayed sort of scenery.